Now approve or refuse new user registration at the store with Customer Account Approval Magento 2 Extension. Magento customer account approval Extension allows the admin to approve or refuse new user registration at the store. As soon as new Magento user registers at the store, a notification email is sent to the admin by our customer approval Magento 2 extension. This enables the store admins to respond to the newly registered user as soon as possible to approve or refuse its acceptance to the store. By default, the new user will be assigned pending status. In this way, our customer account approval Magento 2 extension allows the admin to restrict the accessibility of the user to the store. Our Magento 2 extension for customer account approval allows the admin to approve or refuse that access of that user to the store. In the pending status, the user will be able to navigate through the store but he will be able to complete order. As a guest. Once, the admin approves the status of the user with our customer approval Magento 2 extension, the user will be able to complete the orders from the store with his approved account. Apart from that, our customer account approval Magento 2 extension also enables the admin to refuse the user to access the store. In that scenario, the user will not be able to log in to the store. Along with that certain restrictions will be applied to the refused user when completing the order without login. Our Magento 2 extension for customer account approval sends an email notification to the admin instantly when a new user is registered, This notification mechanism has additional importance as it allows the admin to respond to the user status quickly. This favors the flexibility and convenience to the user to make a purchase easily. In practice, there are some situations when the admin needs to apply changes to multiple users. Our Magento 2 customer approval extension caters that requirement for you. Our customer account approval Magento 2 extension provides the facility to the user that enables the admin to select multiple users by just clicking on the checkbox and then the admin can select the operation from the drop-down box just provided above the grid. That’s all and you successfully applied the changes to multiple users in one go. Our customer approval Magento 2 extension enables the admin to create multiple views of the Magento product grid. This saves time as you don’t need to select the attributes, again and again, to view a specified set of attributes for the users. 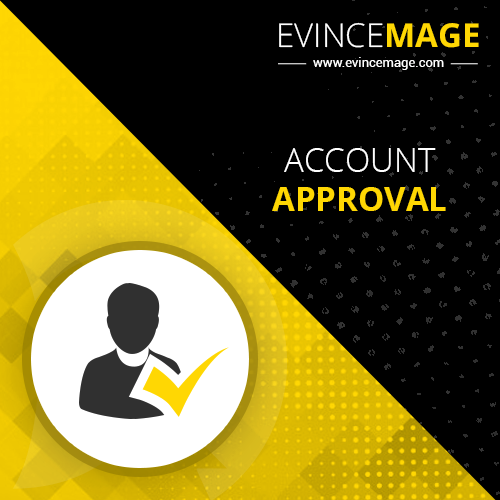 Our customer account approval Magento 2 extension empowers the admin with the ability to filter the account requests with a number of parameters such as attributes like ID, group, country, gender, etc. This is an extremely powerful feature when you are looking for a particular set of users. 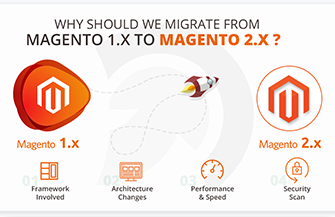 Our Magento 2 extension for customer account approval holds the capability to configure multiple stores with a single installation. In this, our customer account approval Magento 2 extension allows admin to handle multiple stores with a varying configuration to in a single install.